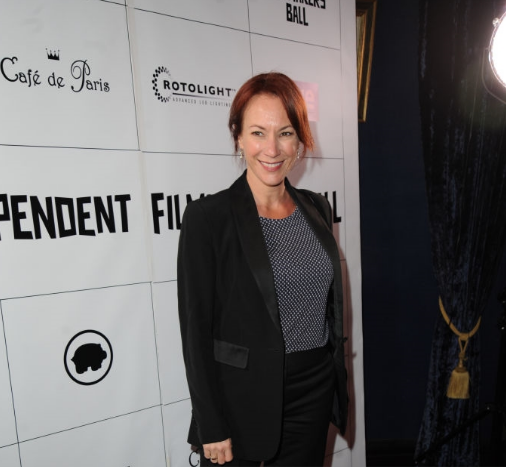 At the Raindance Independent Filmmakers Ball, our wonderful celebrity reporter Liselotte caught up with TV star Tanya Franks. Welcome at the Raindance Independent Filmmakers Ball, have you been here before? Well it’s my first time at this particular fundraising event but I did have a short film that premiered a few years ago here at Raindance, so it’s nice to back. Why do you think people should support independent film? Well, I think we have such an amazing industry here in the UK that needs to be supported. I think it doesn’t get as much as support as it should. It could be a very big business here. So we need to do everything we can to keep independent film alive. What do you think is the strength of independent movies? I think we have such a talent here in this country. It’s very important that we nurture artists, whether they’re filmmakers, writers, actors, singers, musicians and people in the arts generally. I think the great things about film is, that it sells worldwide and therefore it can’t only be a piece of art but also a commercial piece of art. Do you have any advice for the actresses who want to make it in the movie business just like you? I guess, not rely on other people doing it for you. You want to get your talent and your face out there so do what you can to do it yourself. It necessarily won’t just come overnight. Some people are very lucky and it works that way for them, other people have to work really hard. Everybody’s journey is different but all you can do is enjoy the journey. One last question: what can we expect from you in the near future? I’ve just filmed an episode of Inside No.9, which is wonderful BBC comedy series. They have different guest artists every week so I was very honoured to have been asked to be one of those. So I’ve just done that. The rest we’ll see about.